October is in full force with crisper weather and falling leaves. It’s also Pink October, breast cancer awareness month. And to show our support and help you show yours too, we’re offering a great deal on Prada eyeglasses and sunglasses. In the workplace or enjoying the sun outdoors, this is the perfect way to show your support for Pink October in style! A portion of the proceeds from pink Prada eyeglasses or sunglasses sold from the Pink October sale will be donated to breast cancer research. Additional options: extra $109 to add progressive lenses to eyeglasses, extra $60 for rx lenses on sunglasses available for frame models shown. Not valid with insurance. While supplies last, in-store only. FSA Funds About to Expire! Gumbo Limbo 10K Race a Success! The service was prompt, courteous and thorough. I brought in antique frames to be fitted with my new prescription. In the past every optician always tied to "interest" me in purchasing frames from them because "there could be a problem" if I didn't. At Seaview Optical that wasn't the case. They'll definitely get my business again along with recommending them to friends! I was a Seaview Optical patient several years ago and changed because of the distance from my house. I was in the area and decided to stop in to look at glasses. Jamie at Seaview was incredible. She was extremely friendly and knowledgeable. Their customer service was fantastic. I highly recommend you asking for Jamie! In the past few months I have been into Seaview Optical's Delray Beach location on multiple occasions. First visit was to have my wife's frame tightened. We were so delighted by the expert and knowledgeable service that Chris Savage provided that I wound up purchasing a new pair of prescription sunglasses. Chris spent a considerable amount of time making sure that I got just the right style while still making sure that they would fit my face perfectly. I couldn't be more delighted in the sunglasses and everything he has done to insure our satisfaction. Our whole family has been going to Seaview Optical for many years. The fact that they have been in business for many years is in itself impressive, not to mention everyone there is professional and customer service is excellent. Their selection of frames as well as trendy sunglasses frames in extensive. If you want good selection, professional and friendly service you will be impressed with Seaview Optical! I'm a snowbird who has been using Seaview as my place for glasses for 20 years. You can't go wrong there, from a good exam to attractive frames. Jamie helped me pick out frames that look good and didn't break my budget. She knows her stuff about lens, coatings, and frames. If my glasses need adjustment, the service is quick and courteous. Had a great experience at Seaview. The staff is honest, fun, and knowledgeable of all the brands and products in store. Jamie B. was very accommodating to make sure my new sunglasses were the right fit and style! I recommend all eyeglass wear to Seaview. I usually never leave reviews. However, I continue to walk around with the wrong prescription in my lenses because I'm afraid to call them after the way I was treated the last time I was there. Backstory... when I went in for my initial exam I clearly expressed that my eyes are extremely sensitive to any astigmatism change. To please keep anything to do with my astigmatism the same as I get excruciating headaches and because this has happened on many occasions I was trying to prevent any issues. I left and immediately the headaches/painful eye strain started. Went back in no problem for a new exam. This time I couldn't even see from the new prescription. Went back in because I couldn't see and asked for help. I started to feel like I was crazy. Finally, the tech called where I got my old lenses to find out they changed the axis in my astigmatism. So we decided to put in the original new prescription. It took 5 days for the doctor to sign off on it then they decided to wait to get approval from manager to provide new lenses at no cost. They should've called and given me the option to pay and explained they were trying to get it done at their expense but didn't want me to wait. Instead I wound up crying and arguing with the tech. Now this is going on weeks with no glasses except my distance lenses so I couldn't do anything that required seeing close up. She finally did the right thing that day and reordered the new lenses. Now fast forward to now... I am straining my eyes because I was shunned and treated terribly when I picked up the last lenses. Yes, the headaches are gone because they returned my astigmatism to its original axis. Unfortunately, I never had a real chance to know if my prescription was correct due to fact. I would have had no issue paying their small fee this time because I need an adjustment even though the initial error was on the doctor's part. I understand that it's not always easy to get a prescription right there first time. What I don't understand is how you can treat consumers so bad when the mistake was on your part that they are afraid to return. I cannot afford to go elsewhere and start over so I continue to strain my eyes. The only member of their staff that was helpful was Chris but my treatment from the others was unjustified, unprofessional and humiliating to say the least. This is someone's vision we're talking about. I couldn't have been more disappointed because that was not my initial impression but is my last. Sea view optical is the best! I’ve been going there for as long as I can remember and they treat me great. Jamie is the best, she goes above and beyond to help me, and I must say I’m not the most responsible person when it comes to my contacts. Great place highly recommended!! Great store and great people. Jamie B. repaired a pair of glasses i recently broke. They are like brand new. Thanks again!! Getting a new pair of glasses is not near the top of things I enjoy doing, but Seaview made it seamless and even pleasant. Dr. Horowitz gave me a great exam (and it was nice schmoozing with him). Jamie sensed that I like to make the frame selection process simple and fast. I went in looking for something similar to what I've been wearing for the past 5 years, and walked out with something that's still well within "my look," but it's different and a nice refresh. Jamie was easy to work with and also optimized my insurance plan. I highly recommend Seaview. And see Jamie for a good experience/fit. Went in over the holidays to see what could be done about my Ray-Bans with a cracked lens. Jamie was super helpful, she found the exact same lenses through their distributor, ordered them, replaced the lens in my glasses and shipped them back to my home address! Highly recommend! Chris Savage at Seaview Optical made the entire experience amazing. I've been coming here for 2 year and I would recommend them to everyone! I wish I could give more than just 5 stars! I have been a patient since 2012. Seaview offers complete eyecare services. They continue to provide excellent customer service and display professionalism in all areas. Best contact deal in Delray Beach, buy 1 years worth of contact lenses and select a free pair of Ray Bans! Ask for Jamie and she will greet you with a warm smile and excellent customer service. Dont miss this great local team of experts. The optometry center was very thorough during the examination process, with a happy attitude while being pretty conversational. Chris Savage was very helpful in finding the perfect frame for me and made sure we reviewed all kinds of styles before finding the right match. Great service! Sea View Optical is a great place to get glasses. Jamie helped me with picking out and fitting me with a great pair of glasses. She is very knowledgeable and professional. I highly recommend this place. Jamie Bergida Jamie was so friendly and an excellent salesperson. She found the perfect frames for me and was helpful and professional in going through all the features I wanted in my lenses. When I picked up my glasses, she called out my name. We sat down , and I was out of the store in no time with a great set of new glasses. The staff was absolutely incredible. They were helpful, polite, took the time to know my name, and were knowledgable on what their business had to offer. They had an incredible assortment of high-end sunglasses and the staff was ready and able to help me find the pair of sunglasses right for me. Thank you! Mark did an excellent job on my annual checkup. Jamie was super in helping me select my new glasses along with the options that I needed. Glasses were ready in a day ! Jake my sales rep was excellent. Very professional and knowledgeable. Took time to answer all my questions. This place has a great selection of frames for every budget. And they are open on Sundays, which is great. Another great experience at Seaview Optical. Went in for an eye exam in the afternoon and had a brand new pair of really awesome glasses the next morning thanks to Jamie Bergida. Seaview Optical in Delray Beach is the finest eyeglass company I've ever done business with.. I've been wearing glasses for over 50 years. After a visit with Seaview Optical in Delray Beach I became a loyal customer. The pricing is very competitive. The optometrist provided a thorough examination. The optician was excellent. The entire staff is caring, compassionate and professional in all respects. I've already bought 2 pair of glasses from them in 3 weeks. 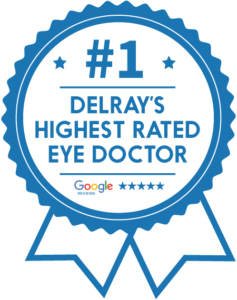 As long as I live in Delray Beach, I will always use Seaview Optical for all my eye care needs. Fast, diligent, caring, and efficient. The best! I went there to get my vision checked a month or so ago and they were extremely kind, the doctor was personable, and it did not take too long. The representative at the desk was helping me figure out when my insurance kicked in to get new glasses. Anyways, just went back this week to get new glasses and Jamie was extremely helpful. She was listening to what I wanted while being efficient and not wasting time (was on a lunch break). Picked up my new glasses the very next day after they were ordered, and I am very happy with them. Definitely recommend! This is an excellent place for getting eyeglasses. They have a wide selection and fantastic staff. Recently I was there for them to fix my eyeglasses, which was more difficult than I could normally do on my own, and they did not even charge for the repair! Looking forward to going back again when I need a new prescription. Came in on a slow, rainy afternoon for frame repair. I was immediately tended to. Daniel and Jake are knowledgeable, passionate, and work hard. They put their best face forward and thus represent the business excellently. I was very pleased with the experience and result, and will be returning for sure. Just wanted to thanks Sam, Dr. Haugen & Jamie for another wonderful experience. This is my second year using this facility and I find it to be outstanding. I have been visiting Eye Care Professionals for more than 50 years. Picking out my first set of frames was such an easy and delightful experience. The shop was immaculate, the staff was friendly, and they had a variety of options from me to pick from! I was assisted by Daniel, who made finding the perfect frame quick and effortless. He asked me a few questions to get a feel for my style then recommended frames he thought I’d like best, and that were also within my price range. After trying on a few different frames, his first suggestion ended up being the perfect pair. My glasses were ready to be picked up later that afternoon. I was beyond satisfied with the services they provided and will certainly be a returning customer. Excellent Eye Care - I have been going to Seaview Optical for 4 years and I look forward to my annual exam because I know that my eyes will be completely examined by the Doctor and the latest technology as well. The staff is super pleasant and professional. I highly recommend Seaview Optical. I'm not sure I can express the level of happiness I feel after getting new eyeglasses from Seaview Optical. Dr. Horowitz was thorough and said he could improve on the crummy lenses (prescriptions placed in the wrong area) I had been living with for over a year. I now have one pair (instead of 2) that work for everything. It is amazing that they got them absolutely perfect with the first try. They are comfortable and the 3 prescriptions are perfectly lined up so that I don't even notice or have to move my head up and down when I read, work on the computer, or drive...it all works seamlessly. They have the latest equipment and can do a retinal scan without dilating your pupils! I highly recommend Seaview Optical and will return when it's time for the next pair of glasses! Would HIGHLY recommend this place. I had my glasses stolen so I needed a replacement pair quickly and inexpensively. They beat the Cosco price by $30 and had the glasses ready within 24 hours. Chris helped and went above and beyond to make it a great experience. I’d give it a 10-star review if I could. Seaview Optical gave me a “5-Star+” experience! I’m so grateful that I was referred to them to replace the broken lenses on my Raybans. Not only were they able to replace the lenses but they saved me $270, at the same time as selling me better lenses and cutting and installing them in 18hrs or less from my initial visit. They have earned my business for life, I will refer all of my friends and family to them as well let the general public know; if you need anything “sunglasses” or “glasses” related you need to go to Seaview Optical. They have the best selection, with very efficient and friendly service. Thanks again Chris and Lilly!! You guys are All-Stars! At Seaview Optical, Mark Horowitz, OD gave me the most comprehensive, careful eye exam I've ever had. That was followed by working with Chris Savage, their licensed Optician to find new frames and take the proper measurements for my new progressive glasses. Each pair of frames sit differently and therefore require different measurements. Never knew that before. But it explains why my other progressive lenses were always a little off. These all fit perfectly and provide a smooth transition between distance and reading. And finally their selection of frames is extensive and fabulous. I bought three new pair. I couldn't help myself, I especially fell in love with the Chopard frames. Chris Savage was so precise and careful, unlike any optical measurements I've ever had before. He says he never has any remakes and I see why. He takes the time to get it right the first time. I love my new glasses. Thank you Chris! Went into sea view looking for a new pair of sunglasses. Jamie was nice enough to assist me, showing me some of the latest styles. She made the experience very pleasant and easy. Will definitely be returning soon. My first visit to Seaview Optical was in 2013. I returned with my new prescription two days ago (5/22/18). My new eyeglasses were ready in a "blink". It's a delight to deal with such courteous and pleasantly professional people.. I recommend Seaview Optical without qualification. Another happy customer! Seaview has clearly invested in high tech equipment. My exam was painless and easy and my new prescription is better. As per usual, Jamie helped me select a new pair of eye wear. She was patient and very easy to deal with. She explained the subtle differences between various brands and gave me all the information I needed to make my selection. As long as Jamie is working there, Seaview will be my choice for life! The staff at Seaview Optical really knows their stuff. I was looking for sunglasses. And the choices were overwhelming. Seaview has thousands of frames. Jamie was super patient with me. And helped me select a frame that really fit my face. I love my new shades and would not have found them without Seaview. Highly recommended. I'll never go anywhere else for glasses again. Seaview optical has a wonderful selection of eyewear! I worked with Renee who was a pleasure and so knowledgeable too. She actually helped fix an issue I was having with my current sunglasses while I shopped. I highly recommend them ... there is something for everyone here. Running a scam. When I completed the paperwork, the last page was for dilation. Also, this form had a price which had been scratched out and some other photocopy added edits. I didn’t complete the last page. I turned the paperwork in. A few minutes later a different lady showed up at the counter and proceeded to explain that I had to complete the last page. I pleasantly explained that I did not want nor need a duple dilation. I have been to a few eye doctors and have had the dilation done 3 times over the years. It is not required. And I am not willing to be forced to pay for treatment or services that multiple professionals I personally have been examined by in the past, I don’t need! Yes it is a nice office. Well lots off staff walking about. The interesting part is with all that staff, there want anybody at the front desk to give me paperwork or take my ID or medical card or a while when I walked in. I did have an appointment. I have purchased many high end lens and frames. Whether I need a lens replaced or my frames repaired they do so without question and many times without cost. They are simple the best!!! Very expensive eye exams. Pretty much took most of my insurance allotment leaving me very little for contacts. Very expensive glasses as well. I took my prescription elsewhere for a more affordable pair of glasses. I will not be going back. I was headed down to Delray Beach for vacation and packed everything except sunglasses. I decided to stop into Sea View to check out what they had. The store was big, bright and clean plus they had a massive selection of Ray-Bans. Jamie helped me try on frames, gave advice on lenses and ultimately helped me pick out a great pair. I would definitely go back to Sea View and recommend them to anyone in the Delray area. If I can give it a 10 STAR I would!! wonderful service from the moment I walked in, I was greeted with a smile and taken back quickly. I came in with my glasses and the sales-person helped me get lenses. i was there in less than 38 minutes. Very friendly and helpful. I would most definitely go back and will recommend to my friends. My wife recommended I make an appointment here, and I'm glad that I did. I found the selection of glasses almost overwhelming, but Daniel was so helpful I was able to make the perfect selection in around 10 minutes! Highly recommend - friendly, knowledgeable staff and a great selection. This place is the best, especially Jamie! She has such great taste, always helps me pick out great glasses, and when my glasses broke recently, she even let me borrow her frames until mine came in! It doesn't get nicer than that! I have been a customer for a quite a number of years and have been pleasantly pleased with the service and their expertise in handling my eye care and the broad range of eye glass selections. In particular, Jamie for always being friendly, professional and on top of my needs. I've recommended them in the past and my friends have been equally happy with the service. NO It was the end of the day. Jill was very patient. She fixed my broken glasses at no cost to me. Amazing service! Never been there, this is not my review, how did it happen? There are very few places that carry high end frames. When I did a Google search, SeaView Optical was listed. I reviewed their website and read a few reviews. This was my first experience and I couldn't be more pleased. From an exam through fitting my new glasses, everything was handled professionally. Jamie Bergida assisted me in selecting a frame that looks good and is comfortable. She was courteous and knowledgeable of their product line. If you are looking for two pairs for $79, you don't want SeaView. If you are looking for quality glasses that will last and fit well, you need to give Seaview a try. I'm glad I did. Recommended by a friend and they have surpassed my expectations. Excellent selection. Entire staff, including Chris S., Daniel , Jamie, are thoroughly professional, helpful and courteous. I highly recommend! Seaview has been my optician of choice for over 6 years. Chris and Jamie have always provided the best of assistance. On a recent visit, Kirsten was especially helpful with contact lenses. I recently had a terrible problem with a prescription for glasses that came from a local Ophthalmologist. I went back to Seaview where I purchased the glasses and they had me see Dr. Radice. She was amazing and after a thorough exam, she discovered that in fact the prescription was not correct. Chris is really great and the entire staff is top notch. I would not go anywhere else for glasses and exams! Great place. Have been coming here for all my eye needs for the past 4 years. Friendly, efficient, and skilled staff for both medical and cosmetic needs. They’ve also got a great selection of glasses with attractive prices. I figured there would be a significant mark-up, but was shocked to notice their Raybans were significantly cheaper than other retail locations! I agree with all the positive reviews! Great selection and staff. Jill and Jamie are great. Manager Cris is outstanding. Happy to recommend this store to everyone! I have been wearing glasses since I was five. Therefore, I many years experience with eye care professionals. This office is amazing and the prices are compatible to others. Thanks to Dr. Horowitz, Christine, Chris. S., Chris. C and the other lady optician for such a great experience. Bravo! This Optical Store is by far the best one I have ever been to. I started my day at four other places and literally found nothing and was about to quit, but decided to give one more place a shot and I walked into Seaview because it was on my way home. Well, that was it I walked out with not only 1 pair but 2 pairs and it wasn't bc I picked them out it was all because of the greatest sales person Chris. There were so many glasses to choose from this time and I didn't know where to start but Chris had such patience and was kind, funny and new exactly what I needed in a frame. Everyone needs to go to Seaview Optical and has to ask for CHRIS because no one with get the service that I got anywhere else. I also just moved to Florida and I never got service like this back where I am originally from. What are you all waiting for go and ask for CHRIS. Trust me you won't regret it. My entire family goes to Seaview Optical and has been for many years now. We love the staff there. Christine was excellent and helped me with my 1st set of contact lenses and explained everything about them in thorough detail. Thank you Christine and Seaview Optical! Seaview Optical has been my ONLY Optician since 2004. Great Service, Staff & Care; Chris and Jamie are Great! The Optometrists take Extra Care as does the Entire Staff, TO MAKE SURE You have the Correct Prescription and their selection of Frames is Cutting Edge Fashion!! Great service and team! Jill was amazing. She took care of my urgent need and the Doctors were outstanding! They figured out exactly the care I needed. I was in complete pain and felt like my eyes were on fire due to a scratches in my eyes.I highly, highly recommend Seaview Optical. I wanted to give a thumbs up to Chris at Sea View Optical in Delray Beach. I just moved to Delray from New Jersey and had a sunglass prescription that I needed to get filled; I found Sea View Optical and Chris at the counter in Atlantic Ave. In the process of working on my prescription I told Chris that my new progressive glasses were not working for me; he offered to get it corrected at no cost if I got the lenses from my optical shop in NJ. I did so and Chris cut and mounted the lenses while I was having lunch across from the shop. That is what I call customer service at its best!. Chris is the reason why I and my husband will always go to Sea View Optical for our glasses. Chris is professional, personable, and knows his job very well. I tell everyone who needs optical service to go see Chris, you will be happy with the results. I had the greatest care today at Seaview Optical by Jamie and Christine. They are really the greatest, but then all the staff here is. It is a "happy place" to walk into, with great energy and state of the art medical eye care equipment. Seaview Optical has been taking care of my needs for eye exams, contact lenses, eyeglasses and designer sunglasses since 2000. I went in to pick up my prescription glasses today and I also got a new pair of Ray Ban aviator shaped Gun-smoke mirror polarized lens sunglasses that Christine helped me pick out. She and Jamie custom fitted them so well for my face. I'm a very happy customer and have referred many of my friends here. They are the best!!! Thanks Christine and Jamie!! Super Experience At SeaView Optical! Very Friendly Staff, Top of the line technology for your eye exam! Great selections of Glasses and Sunglasses! I highly recommend this store! I forgot to bring extra contact lenses on my vacation. Jill and Jamie made sure I got the lenses I needed. Very helpful! THEY ARE THE SIMPLY... THE BEST. THEY ARE TRUE PROFESSIONALS. As a provider of critical care, I am rarely impressed by professionalism in health care, because I expect it.... these guys at Seaview are exceptionally proficient and simultaneously at ease with every aspect of what they do. Thank you! Extremely friendly and helpful staff. They repaired my eyeglasses two times for free and I had not even purchase them there! Excellent selection plus excellent service. Jamie was especially kind and helpful. Dr. Giselle Radice - hands down, the best eye exam I've had in a dozen years. Best most advanced equipment available that I have experienced. Clearest vision I've had in the same timeframe. She nailed it and I am so grateful to have gone here for my eye exam. I won't ever go anywhere else. Thank you Dr. Radice for the gift of albeit assisted sight --- still amazed at how much clearer everything is - with a LOWER prescription. At Seaview optical they give great service and help ed me drastically with my glasses. I very much appreciated the support ,I would like to add that Jamie Bergida one of the associates ,there ,was very very helpful in getting me my glassware and putting me on the right track as far as optical situations /concerns go.thank you very much Seaview and Jamie. Chris Savage was great in assisting me find and purchase my frames. He has a great attitude and made my experience easy and fun! Nice facility. Professional staff. Would recommend. Jamie Bergida was wonderful - so professional and always makes my experience at Seaview Optical very pleasant!!!! Love this place! It's my first time going here. Every single person working there were helpful, patient, and very pleasant. Dr. Horowitz was super funny too! Didn't have any wait at all. I highly recommend this place! Great selection of glasses. Renee is the employee that helped me & she was extremely knowledgeable & friendly. Took a few days to get the glasses, but worth the wait. The best optical experience thus far...as a new patient, from the moment I walked in until I left above I was given above class service. Jamie B, assisted me with my insurance and landed me the best discount for contacts and RayBans..kudos...see you next year !!! My experience at Seaview was amazing. I have tried several attempts at contacts and have never felt comfortable with the prescription I was given (I have astigmatisms in both eyes). Seaview not only gave me the most comfortable contacts I could imagine, but also fit my prescription perfectly. On top of that they did not try to upsell me anything (which every other optical store has done before). Seaview is proof to stay local and not go to corporate stores like LensCrafters. I would definitely recommend this staff to anyone! Inept and uncaring. I was a repeat customer of Seaview. After several months of uninvited emails, text messages and robocalls, I made an appointment. Once the appointment was made, I continued to receive text messages and robocalls, followed by 2 phone calls to confirm my insurance. Once I arrived for my appointment, after driving 30 minutes to get there, I was told they could not confirm my insurance. When I told them I received 2 prior phone calls, I was informed that the person who called did not confirm the insurance properly. They confirmed the insurance while I was there and finally told my that I could not get new glasses for 6 months. When asked why I wasn't told this before my long drive to them, all they could say was "sorry." They could not have cared less. Oh well, there are plenty of other places to take my business. All of their technology does not compensate for an uncaring staff. The staff here is fantastic! Jaime was awesome and helped me pick out my FREE sunglasses (they had a great deal if you buy a year supply of contacts you get a FREE pair of Ray Bans!). I didn't have to wait for my appointment and Dr. Radice really improved my contact lens prescription! I would highly recommend! I love Seaview Optical. The entire staff is professional and courteous. The doctor gave me a thorough exam and fit me for contacts and glasses.Thanks to Jamie ,Kim and Chris for helping me find the perfect pair of glasses and sunglasses.I highly recommend Seaview for all your eye care needs. I went to SV over 6 years ago at the old location, the glasses I got back then, silluethe, are still in perfect condition. I got new insurance and went back to update my prescription and get contacts, Doctor Giselle and Dr Horowitz were amazing, they explain everything and made my transition so much easier to contacts. I also updated my old glasses. The Staff was great, the nurse, and I'm sorry I don't remember her name, gave me a mini class to put on contacts, she was so patient and gave me great tips. Chris at the front counter and a younger lady with long hair helped me with my glasses, they told me my options and even fixed ones that I didn't purchase there that was not fitting properly. Everyone there is knowledgeable and courteous. They're appointment system is great and the text you get a day before are really helpful. Overall I'm very satisfied with their service and selection of glasses. LOVE THIS OPTICAL! The staff and service here is always amazing so I refuse to go anywhere else. Not to mention their frame selection is extensive and they always help me find exactly what I'm looking for. On my last visit Chris went above and beyond to make sure I was happy with my selections and I can't thank him enough for being so patient with me. I highly recommend checking them out! Service was great! Very quick! The staff was very helpful! I'll definitely be back! I’ve been a patient at Sea View Optical for years and would never consider going anywhere else for my eye care needs. From the moment you walk-in you are greeted by the professional staff of Kim and Jamie who are friendly, patient, knowledgeable and attentive. Dr. Radice is very thorough in her exams and has helped transition me from glasses to contacts. She explains your results and has the patience to answer all of your questions. If you’ve never been, you need to visit Sea View Optical for great eye exams and an abundance of choices in eye glasses and sun glasses. Only place in So Palm to get your glasses. Staff is professional, courteous and knowledgeable; always willing to assist. If you go, ask for Jamie B; she's been in this business for years and knows her stuff! Great eye for finding that 'perfect' pair just for you. NOIt was the end of the day. Jill was very patient. She fixed my broken glasses at no cost to me. Amazing service!Never been there, this is not my review, how did it happen?